Zermatt, Switzerland: Heavy snowfall has cut off many villages and resorts across the Alps, trapping some 13,000 tourists at Zermatt, one of Switzerland's most popular ski stations, officials said on Tuesday. 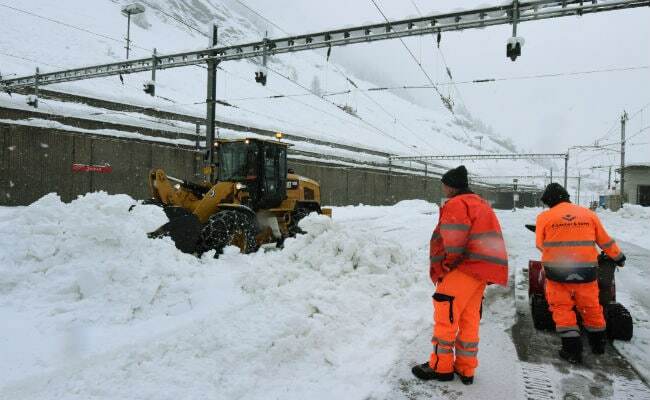 The heavy snowfall also caused power outages in some other areas of the southern Swiss canton of Valais, and a number of other villages were also cut off, with the Simplon region of Valais hit by two metres (6.6 feet) of snow over 24 hours, the ATS news agency reported. Although the piste itself was unaffected, overnight winds of up to 200 kilometres per hour (125 miles per hour) caused significant damage to infrastructure on the course, notably at the finish where tents and the stands were hit.